Definition at line 524 of file TypeRecord.h. Definition at line 527 of file TypeRecord.h. Definition at line 528 of file TypeRecord.h. 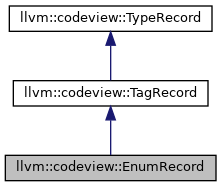 Definition at line 534 of file TypeRecord.h. Definition at line 536 of file TypeRecord.h.